In the interests of taking the inspiration from last week and running with it, I have been working like a Trojan on my shawl. Though you can’t really see it yet, it has grown considerably! 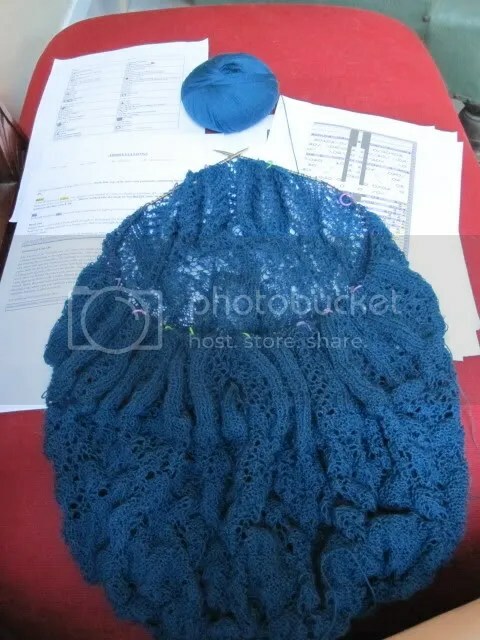 I have begun the second ball of yarn which indicates that there is over 700m of yarn so far in the project. Through the magic of lace, there is very little actually see at this point. But I flattened out some of the design in order to give you an idea of the final product. Can you see the petal shapes? Because this is such a large project (and let’s not think about all the other unfinished pieces I have around at the moment), I needed something short and sharp to pick up my spirits. So I took a break for a couple of nights and whipped up this entrelac hat. Isn’t it wonderful?!? 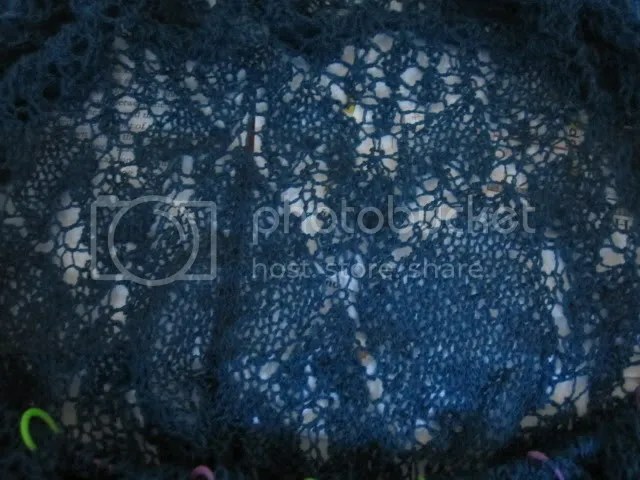 I love the colour and the movement that the stitch pattern gives the fabric! Well over the weekend I worked on my driving skills between here and Sydney and back again on the Saturday. Went down there to catch up with a really special person in my life. The on the Sunday I spent 6 hours working on many of the underworked muscle groups in my body helping some very special friends move house – Always have trouble working out why when I go back to work on a Monday that I feel as if I haven’t had a weekend – perhaps I should apply for a government grant and do a research project on the subject. 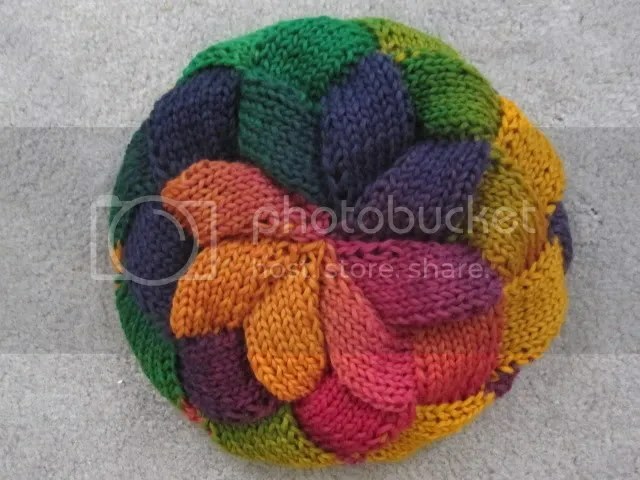 I was searching for a rainbow hat pattern on google, and found this one. I admire the way the colours come together at the top. Can you point me to the pattern, please?